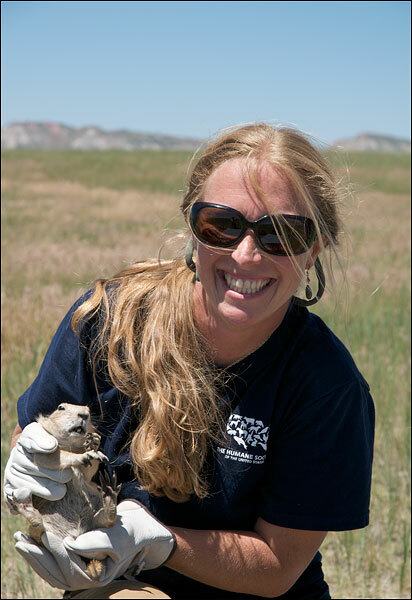 Lindsey Sterling-Krank of HSUS displays a black-tailed prairie dog ready for release at the groundbreaking Thunder basin relocation. The relocation prevented poisoning of an entire colony and was the first time priaire dogs were moved from private to public lands. The USFS joined with HSUS, Defenders, WWF, and Biodiversity Conservation Alliance for the Thunder Basin project. Cynomys ludovicianus. Photo © copyright by Dave Showalter.